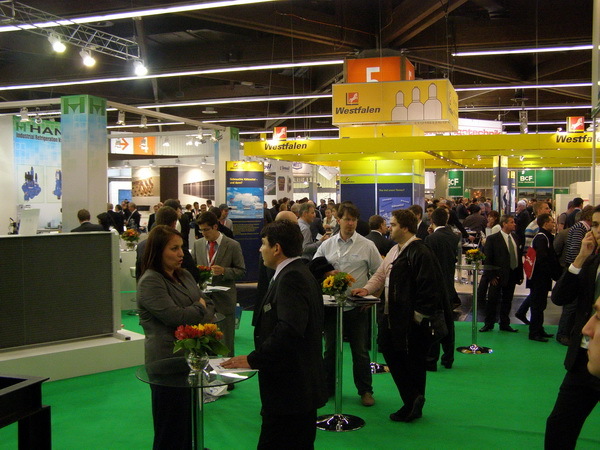 The international Trade Fair Chillventa 2012 dedicated to the questions of refrigeration equipment, air conditioning and heat pumps for industry, commerce and building was held 9 - 11 October in the city of Nuremberg (Germany). 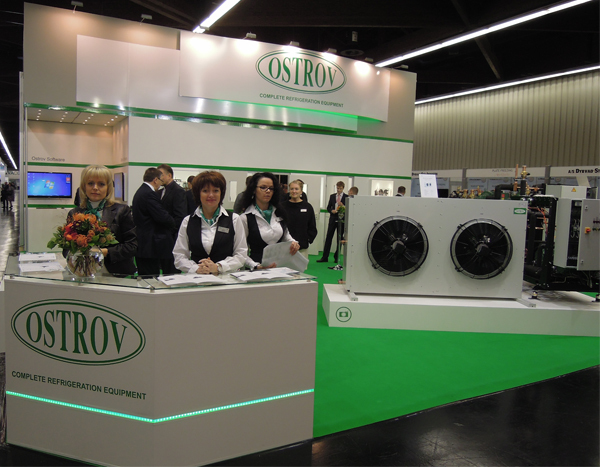 Ostrov participated in this event as an exhibitor for the first time to show that our firm became an international company being able to compete with the leading European manufacturers of refrigeration equipment head-to-head. During the exhibition many representatives of European companies visited our stand. 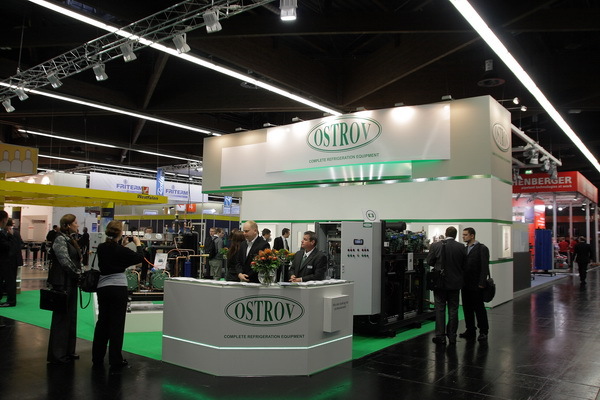 The visitors could see Ostrov equipment produced at the factory in Prague (Czech Republic), and that was very interesting to European customers. It was a pleasant surprise for the guests that our software, which enables to configure a refrigeration system by choosing both the equipment and its options, was also presented at our stand. 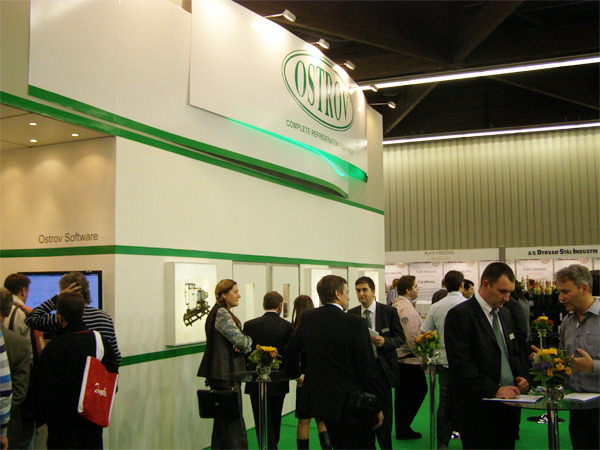 Besides the equipment and the software our web-portal OstrovKnowledgeBase was also shown at the stand. Not only European visitors but representatives from Russia, Belarus, Ukraine and other CIS-countries took an interest in that portal.